Through a determined focus on sound quality, Goldbaby has built a reputation for making some of the best instruments and sound sets for production. Here they serve up another collection from their popular Urban Cookbook series, aimed at hip-hop, dubstep, grime, drum & bass and breaks, but just as good for house, techno and other styles. This third installment is made up of sounds that are, in Goldbaby’s words, “packed full of saturated fat, MSGs, a heap of sugar and certainly not suitable for a low-cholesterol diet.” Sounds bad for the waistline, but it’s a fair assessment of the heavy hitting fullness some of these sounds carry. Kicks, hats, snares and claps and other drum fundamentals are round, warm, crisp and full with plenty of textural options. Plus there’s great variation in the supporting cymbals, toms and percussive hits. Alongside are plenty of vinyl-sample and chord hits, bass instruments, layering tools, drum loops and more. At just over 1 GB of sounds, there’s more than enough to keep you sated for rhythmic samples. The special ingredient in Goldbaby’s full-fat recipe is no secret: experimentation with gain staging and processing combinations using their Aladdin’s cave of vintage gear. Pre-amps, EQ and dynamics processors, plus pedals and other analog processors are used to give sounds their warm, full character. The list of sound sources reads like a collector’s wish list of classic drum machines and synths. 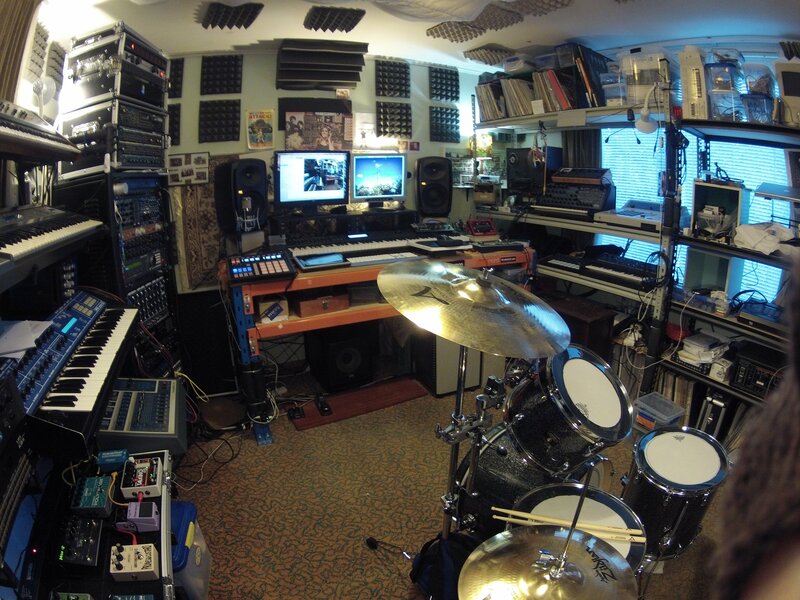 Also used are selected modern machines, top quality acoustic drums and a sprinkling of field recordings. As well as individual hits and loops, the sounds are split up into playable Drum Racks made up of drum kits, FXs and other hits; 25 Simpler instruments with playable chromatic bass drums, congas, pipes and other sounds; plus a handful of Instruments Racks of synths sounds and tools for arpeggios and layering sounds.